Ethiopia is due to host the 2020 World Economic Forum. 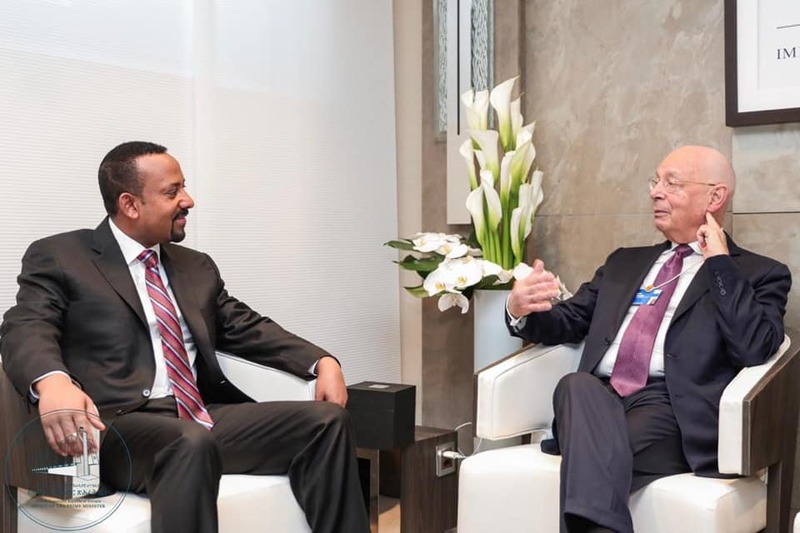 The announcement came during a meeting between Prime Minister Dr. Abiy Ahmed and Founder and Executive Chairman of the World Economic Forum (WEF), Professor Schwab today (January 23), in which the two sides have agreed that Ethiopia will host WEF in 2020. On the margins of WEF, Prime Minister Dr. Abiy Ahmed also held a productive discussion on bilateral issues with Charles Michel, Prime Minister of Belgium.